Here is a very unusual item. 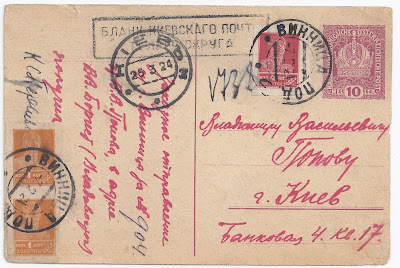 It is quite common to see old postal stationery cards - Kerensky cards, Trident-overprinted cards - used as "BLANKS" (formulars) in Russia in the 1920s, but not Austrian ones. 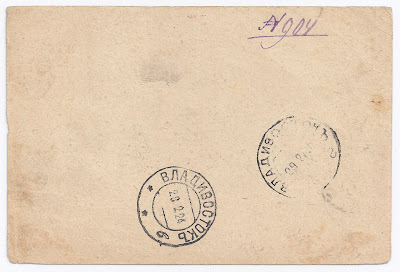 Usually these BLANKS have some kind of cachet to indicate that the imprinted stamp has no value - this card has a black cachet reading "BLANK KIEV POST TELEGR[APH] DISTRICT". 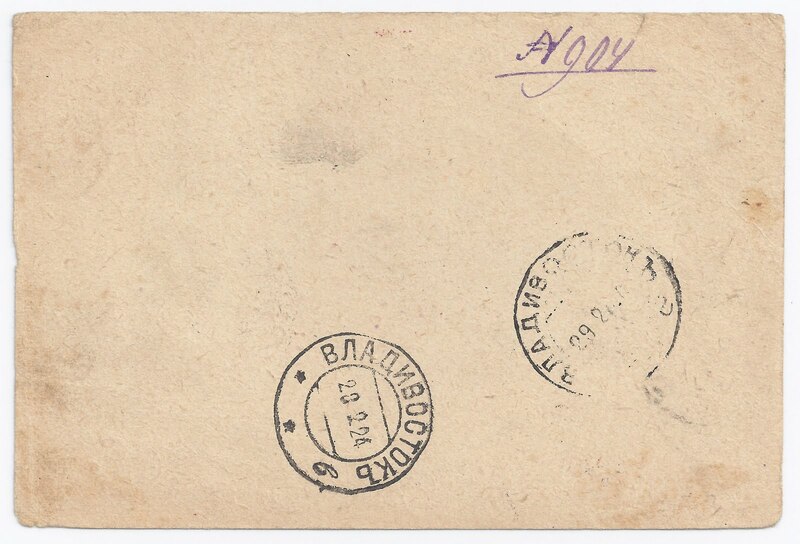 It was used from VINNITSA POD[olia] (old Imperial cancel) 7 2 24 and arrived in KIEV 26 3 24 (again an old Imperial cancel), correctly franked to 6 kopecks. 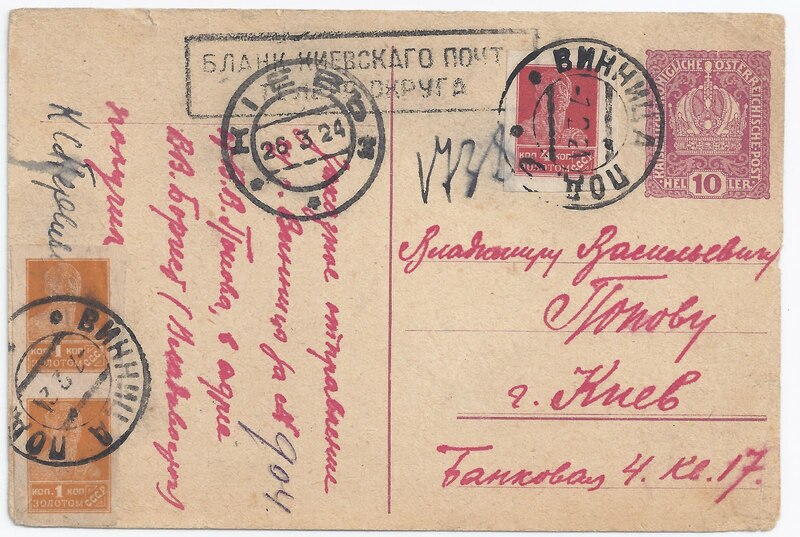 The card was delayed because in the sorting office it was routed to Vladivostok (the first word on the address line is the source of the confusion)where two cancellations were applied (see the reverse of the card). The absence of a message on the reverse made me think it is philatelic, but in fact there is a message on the front which indicates that it is a separate confirmation of the despatch of a registered letter # 904. Austrian cards may well have been held in Ukraine post offices as a by-product of the 1918 Austrian Occupation or even as trophies from the 1915 Russian Occupation of Lviv. Do readers have other examples of this unrecorded usage?